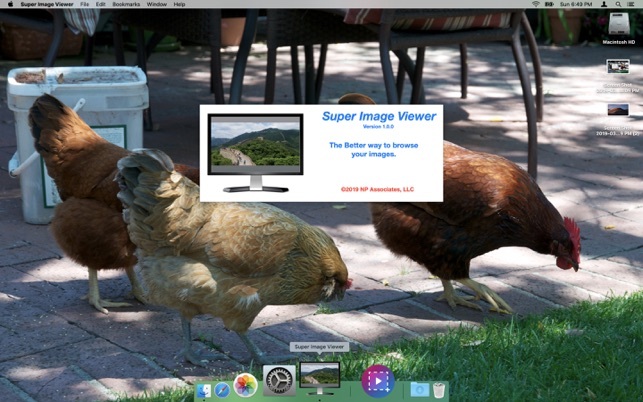 Super Image Viewer takes a simple image viewer several steps further. • Fast. 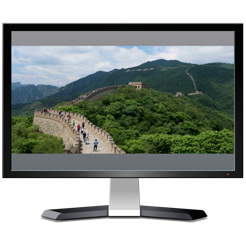 Always expands the image to the full size of your display. Great for making presentations. 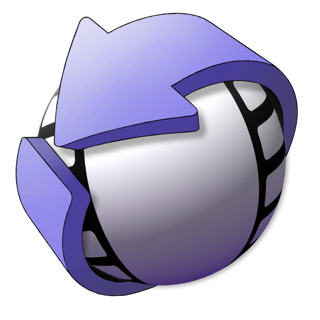 • Supports the more than 50 image formats that Apple supports, such as .jpg, .png, .gif, .pdf, .psd, and all sorts of RAW formats. 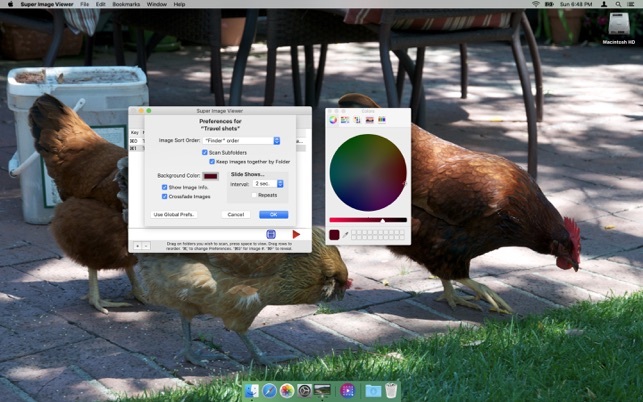 • Just drag a folder full of images and other stuff onto Super Image Viewer, and it finds all the images. Drag to rearrange your folders. * Options for setting the sort order, background color, and where to start off. Your options and last position are remembered. 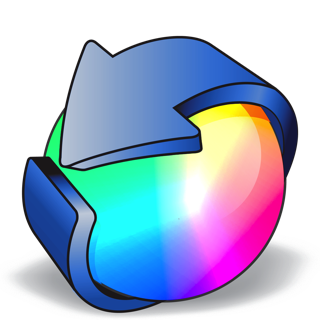 • A low cost in-app purchase lets you add automatic slide shows, dissolves, separate preferences for each folder and more. • Professionally developed so it won't let you down. • Performance enhancements and internal fixes. • Support for App Store parental approval. • Now works with High Sierra. • Link to App Store in the Credits.